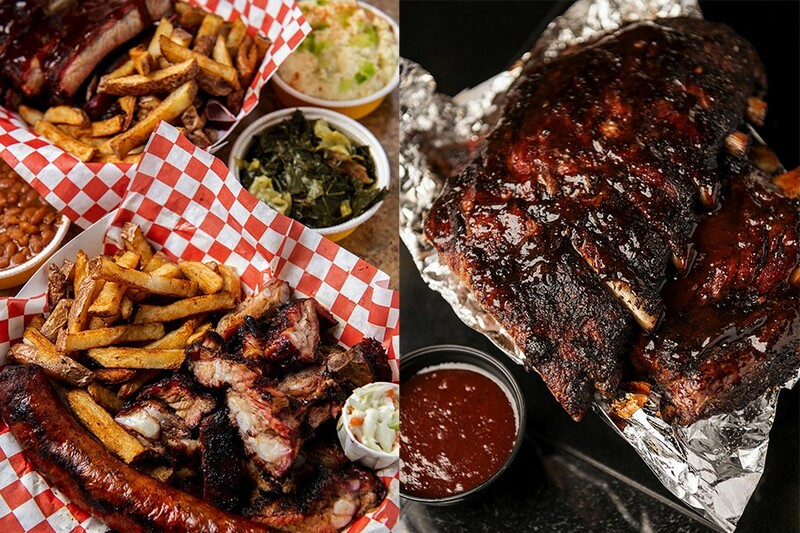 The last five years have been terrible for Chicago barbecue. 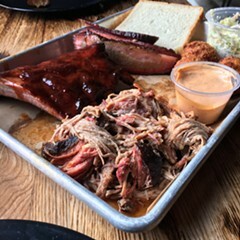 For reasons I still don't fathom, a relentless plague of half-assed new barbecue restaurants multiplied as insidiously as split-face concrete block, and provoked a kind of fury in me that would ignite my hair every time I had to sit down and write about it. 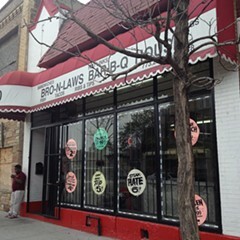 This largely north-side problem was compounded when the great Honey 1 BBQ relocated to Bronzeville after ten underappreciated years in Bucktown, where the Adams family was hounded by condo-dwelling NIMBYs panicked by its sweet porky perfume. 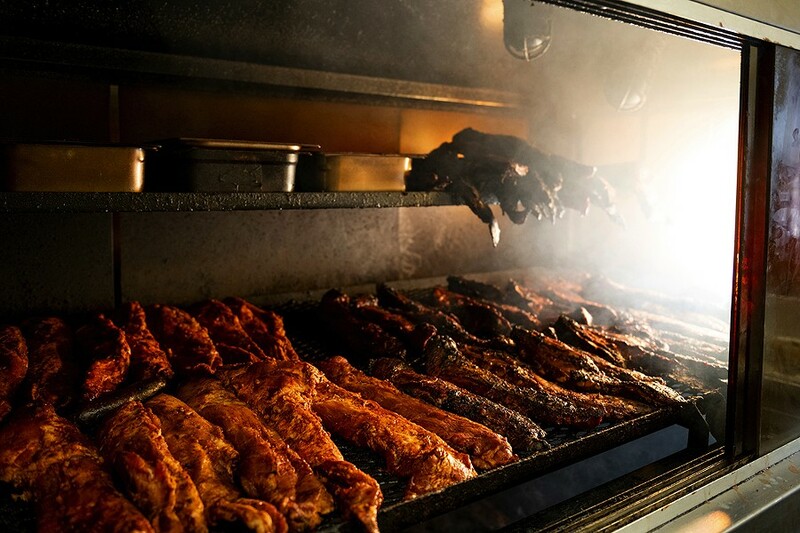 With just a few exceptions, unless you were smoking your own, real barbecue was largely only available on the south and west sides at spots like Lem's, Uncle J's, and Bro-N-Laws Bar-B-Q. 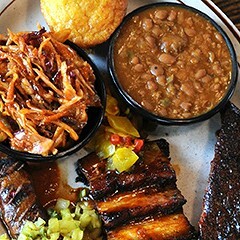 Nothing much has changed north of 43rd Street, but in recent months the state of affairs on the south side has improved even further with the opening of two new, similarly named spots from barbecue veterans. 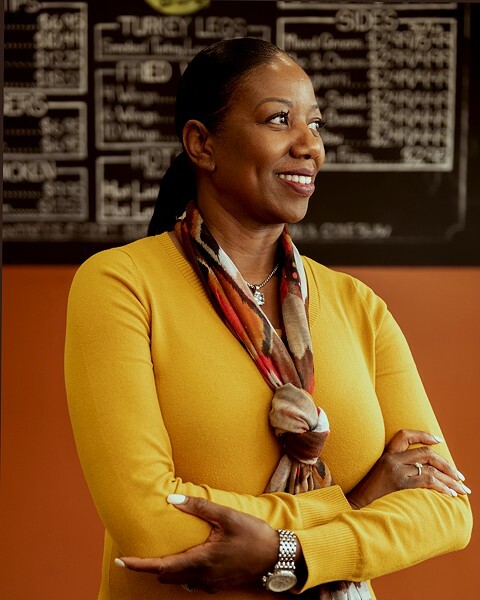 Early last summer the scent of smoldering hickory began wafting over South Shore when James and Tonya Trice relaunched the takeout-only Slab BBQ on 71st after a multiyear hiatus from their original location in Chatham. 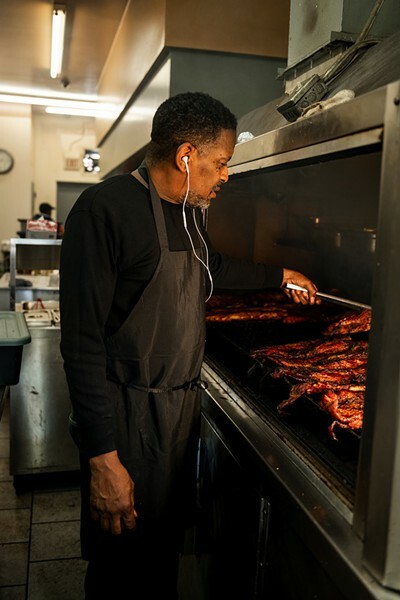 Operating a classic high-heat aquarium smoker, the Trice family offers a straightforward menu of primarily Saint Louis spares, rib tips, hot links, and chicken that are benchmarks for the Chicago style. 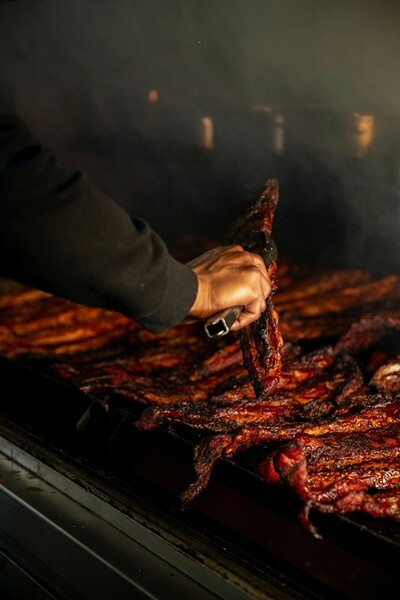 Roughly hacked tips and cleanly separated ribs are robustly smoky and markedly tender right off the smoker; links are snappy and bite back with considerable chile heat. As the rules go, these are buried under sauce, mopped up by white sandwich bread and fries (in case you're not axiomatic about sauce on the side). The latter are a departure from the form. 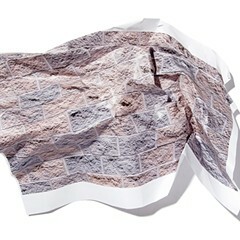 Instead of limp, previously frozen crinkle-cut spuds, these are thick, long, and hand cut, though their bronzed beauty holds up no better in the schvitzy atmosphere of the takeout bag. Fried chicken and burgers are afterthoughts, but sides are not, particularly supertender greens, mined with bits of smoked turkey, that still maintain their integrity. 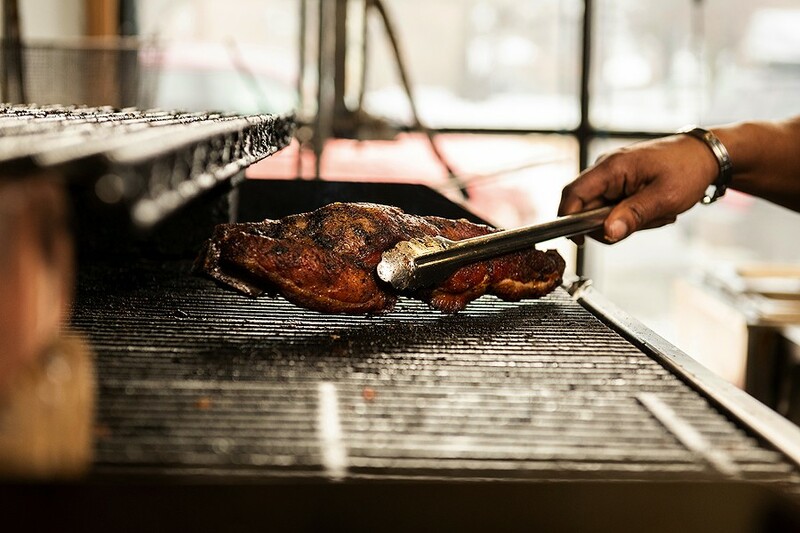 Two miles south in Chatham, Samuel Gilbert opened the takeout-only Full Slab in November, a rebirth of his full-service restaurant in Grayslake that operated from 2006 to 2013 before the recession killed it. 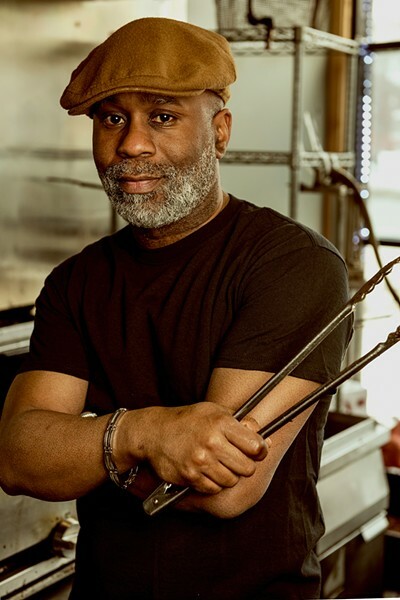 Unlike Trice, who learned the barbecue arts from his father in Paducah, Kentucky, Gilbert, an engineer, taught himself, spending his first years conducting R&D on his guests. 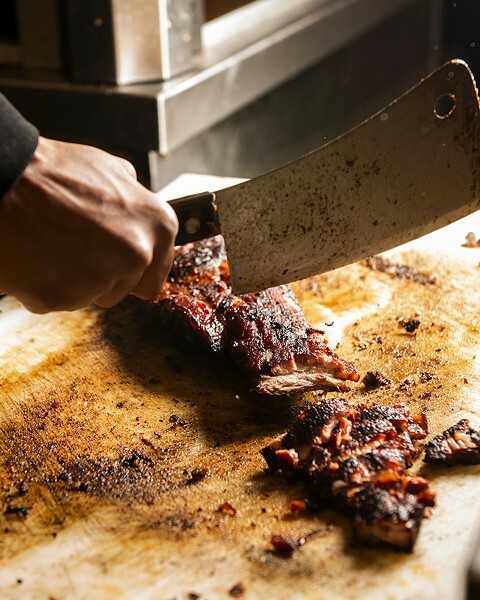 His ribs and links, cooked on a large Old Hickory offset rotisserie smoker, are meatier, less rendered, and a bit chewier than the Slab's, though they're not nearly as smoky. Same goes for wings, finished on a flaming grill. Gilbert offers a somewhat broader menu, with brisket, jerk chicken, pulled pork, and fried catfish, all of which are sandwichable. 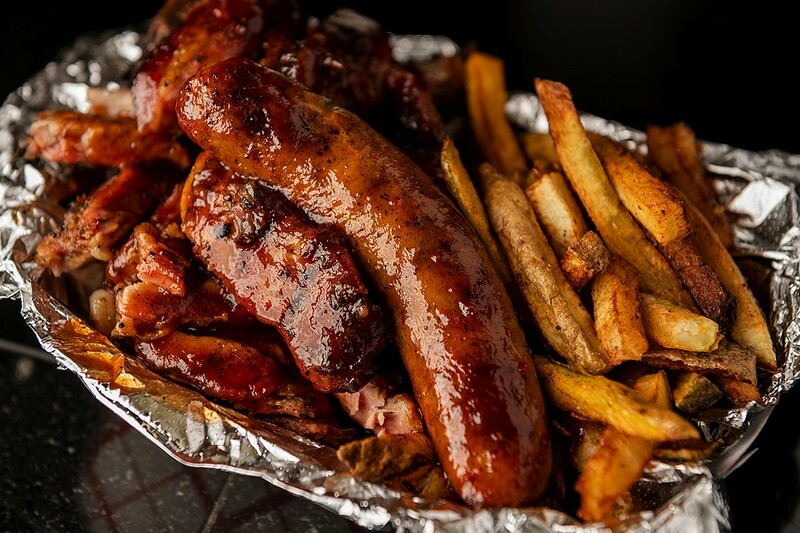 His fries are hand cut too, both spots perhaps marking some kind of shift in the usual takeout meat-and-potatoes barbecue paradigm. 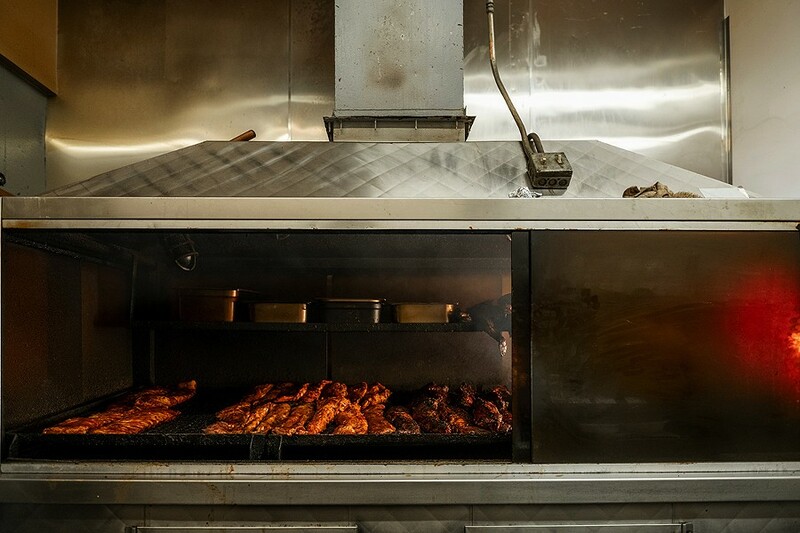 The Syracuse chain's smoked meats are mostly good—underneath it all. 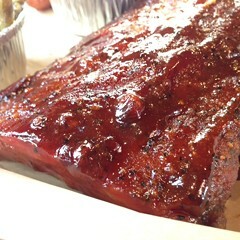 Great Barbecue on the North Side? Oh, Honey.